We have two technicians positions open now: one for a Research Technician, to do all kinds of things around the lab including manage the ant collection, and one for a Research Computing technician, to manage computer systems and help design applications and technologies that help us do our work. More details about these positions on these pages: http://arilab.unit.oist.jp/research-technicians/ (English) or http://arilab.unit.oist.jp/採用情報/ (Japanese). 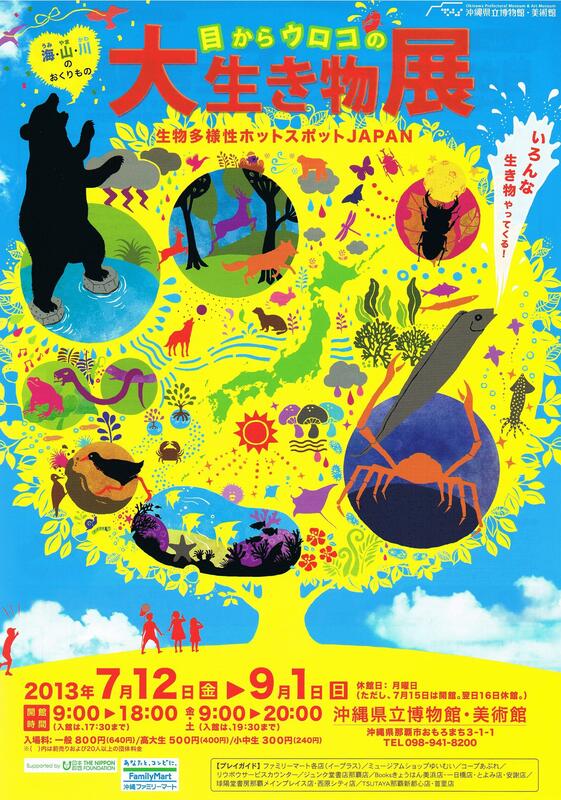 During the Summer of 2013, the Okinawa Prefectural Museum is presenting an exhibition on Biodiversity in Japan. 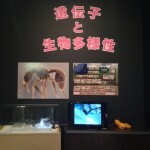 Two OIST units have contributed material to this exhibition. The Marine Genomics Unit exhibit presents evolution through several specimens of fishes and amphibians, and illustrates the unit’s work on coral genome sequencing. 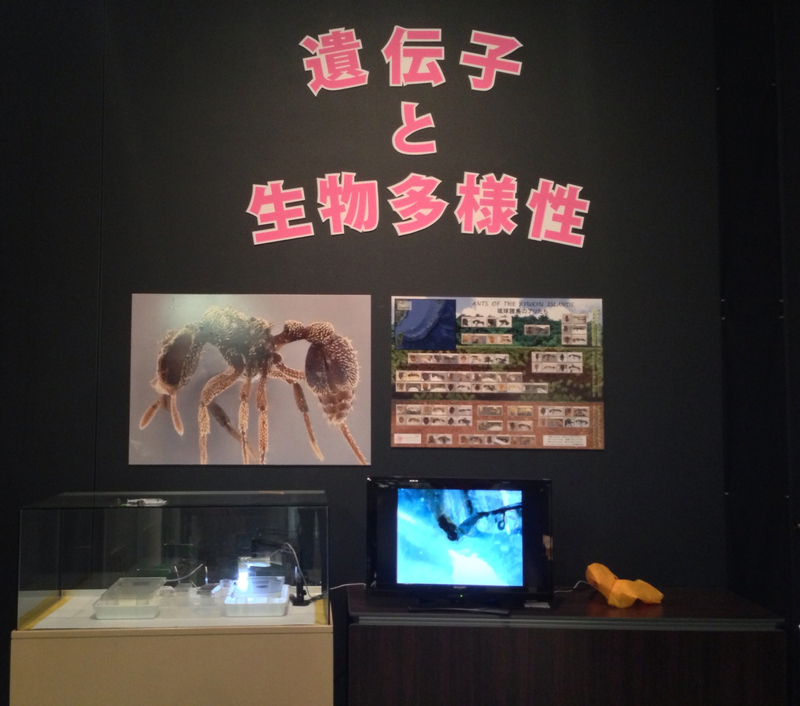 The Biodiversity and Biocomplexity Unit exhibit introduces the ants of the Ryukyu Islands through posters and live ants that visitors can observe. 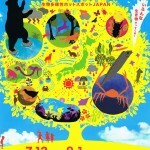 Poster for the Biodiversity in Japan exhibition at the Okinawa Prefectural Museum. Our paper on the taxon cycle, which was published last year in The American Naturalist, won the 2013 Presidential Award from the American Society of Naturalists (ASN). It was a really nice and humbling surprise for us, and meant even more because it was chosen personally by ASN President Dolph Schluter. 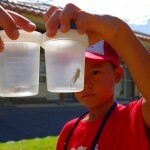 Read more about it on the OIST website! Benoit, Benjamin and Cong have come back from China and the OIST website interviewed them. 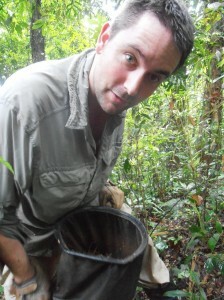 To learn more about how ants are collected in the field and see some pictures of the trip, read this detailed report entitled Behind the Scenes in Ant Research.